Loot Crate: WWE Slam Crate – Enzo and Cass T-Shirt Revealed! Cost: Starting at $29.99 ($60.00 + Value) depending on subscription plan + $5.00 shipping. Sign up by 10/15/16 to get this Crate! 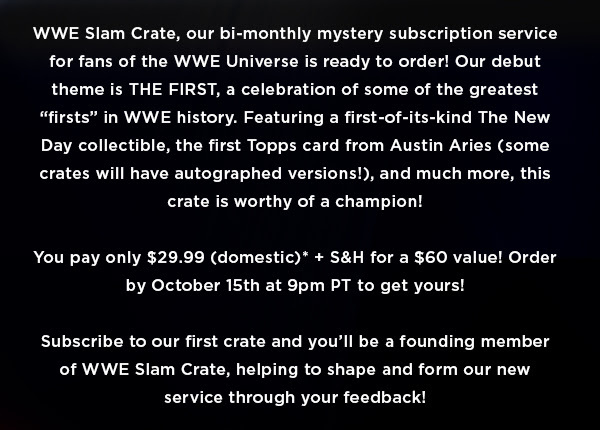 What do you think about the Loot Crate WWE Slam Crate? ← Happy Socks: Discover HappySocks.com new Underwear Collection!